Hi every one and welcome to Red Couch Recipes! 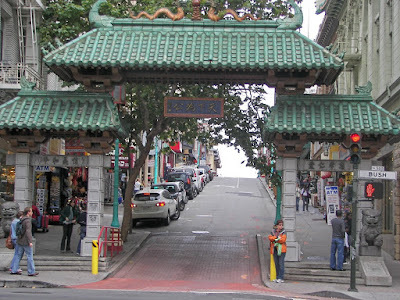 Come take a seat on my Red Couch and visit Chinatown in San Francisco. It's a must see when you go to San Francisco. 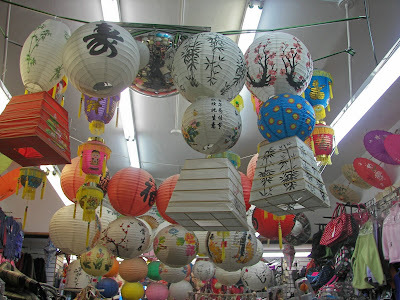 It is the largest Chinatown outside of Asian and the oldest in North America! 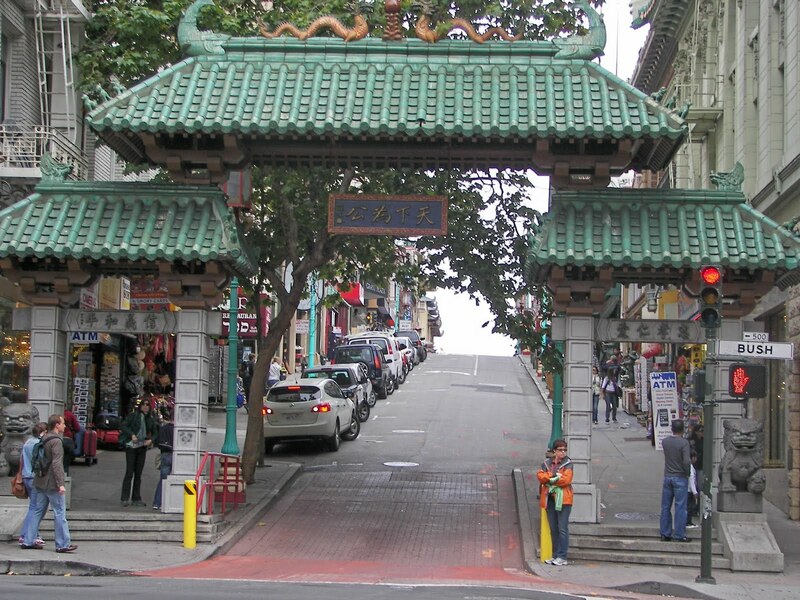 The official entrance to Chinatown is located at the Bush and Grant Street intersection. Many tourists, get their picture taken here. Yes, we did too! 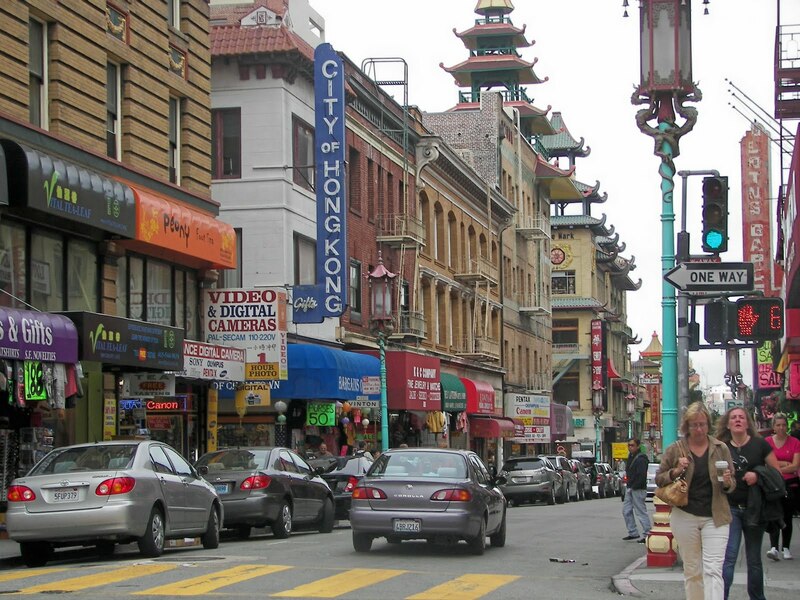 Leave your car behind and walk around Chinatown; the parking is very limited. There are at least two cable cars that bring you in the vicinity of Grant Street. On Grant Street you can find fans, back scratchers, really cheap San Francisco T-shirts for $2.00, jewelry and many restaurants. When I used to come to conferences that usually were at Union Square Hotels, I always would find my way to wander around Chinatown. On previous trips, I have bought lovely beaded purses and a gold lapis lazuli ring...to celebrate my Golden Birthday. I wish I could fit into the pink silk Chinese dress I bought in my 20's. Tomorrow my tablescape will feature some brass Chinese characters that I bought many years ago in Chinatown. 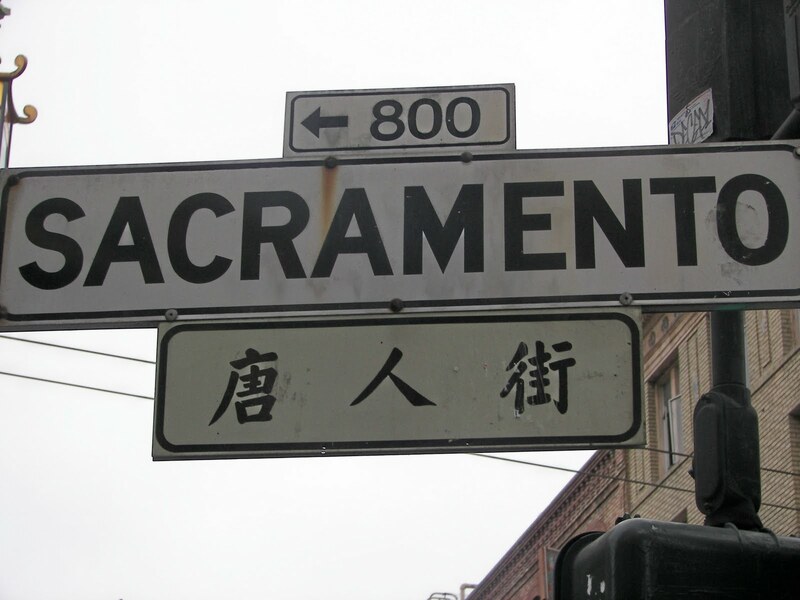 Street names are given in English and Chinese. 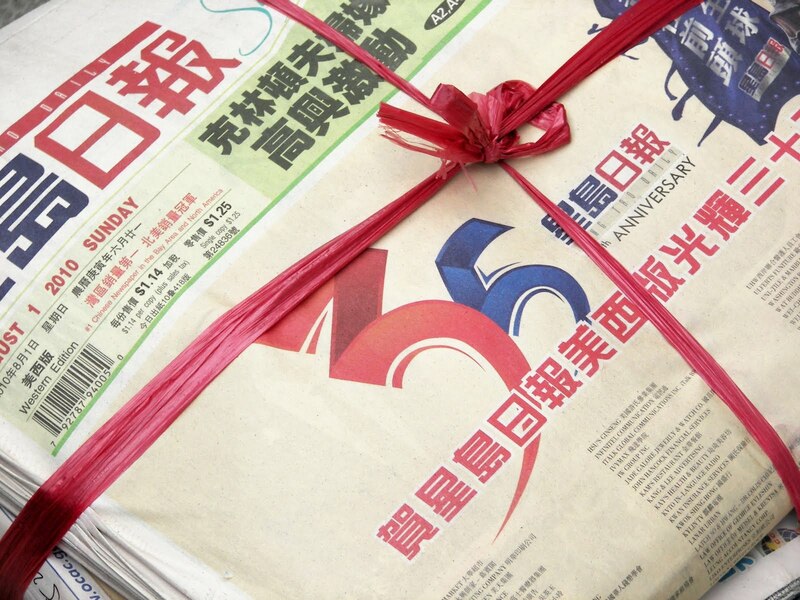 If you want a Chinese language newspaper, you have come to the right place. 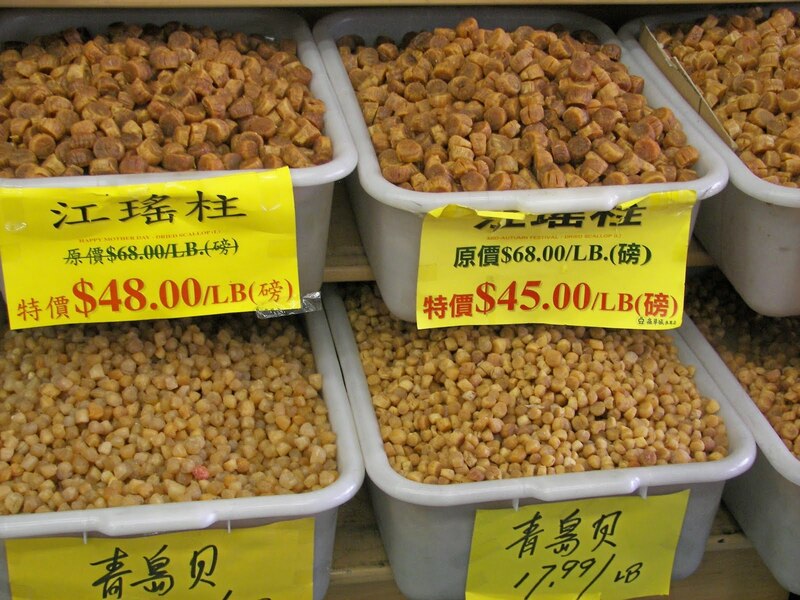 Just don't stay on Grant Street, because you will want to check out the Chinese grocery stores. They are one street over and are really worth a visit. I think these are bean sprouts, but I am not so sure. These are dried scallops. In one grocery store, there was some, apparently precious, Ginseng that was selling for over $800 a pound. 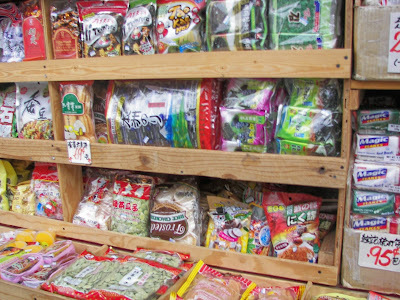 We didn't buy any Ginseng or scallops this trip. 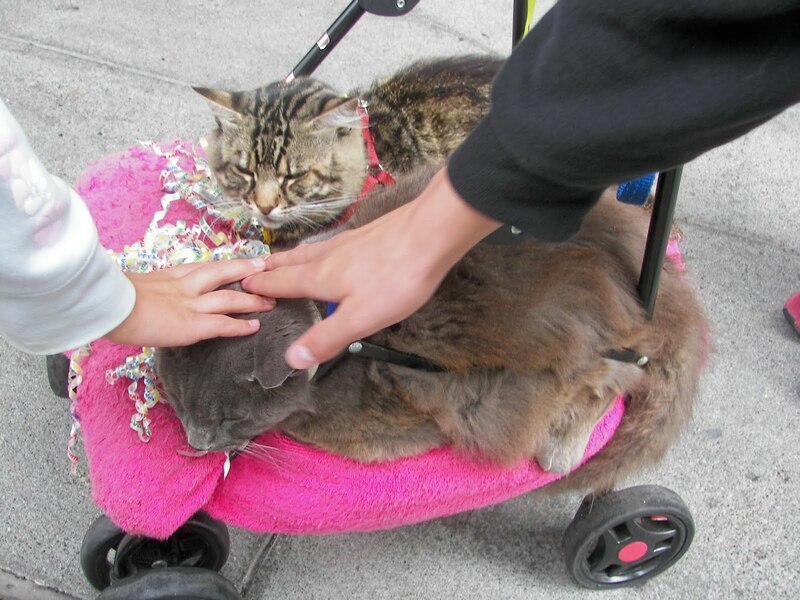 A woman in Chinatown was asking for money to feed her cats. She had us as we are we are major cat lovers; those are my kids petting her cats and wondering how our cats would like to be strapped down. 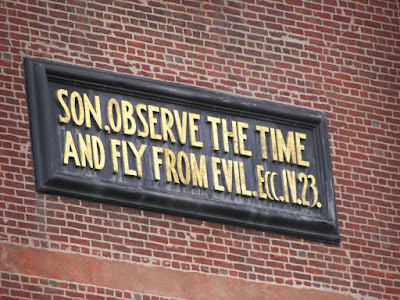 There was even a bit of wisdom on one of the churches in Chinatown. 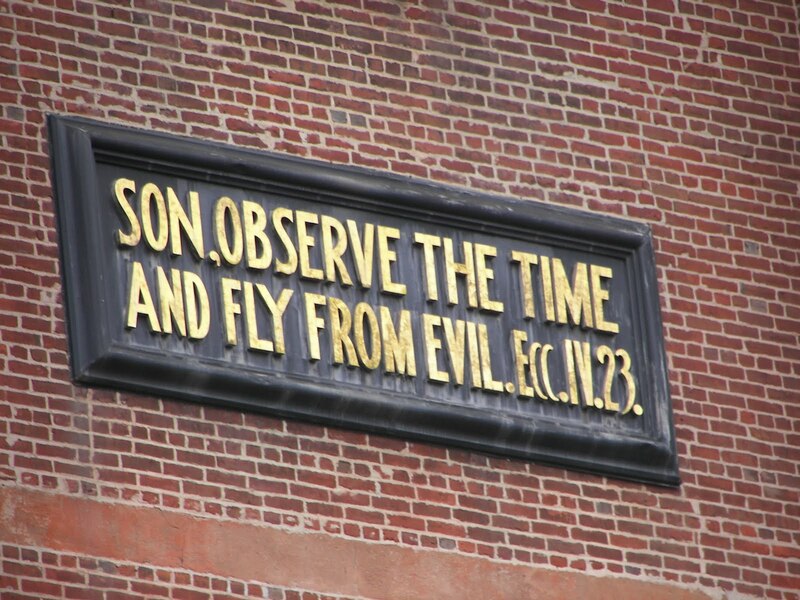 Don't you wonder about how they chose this to be on their church? 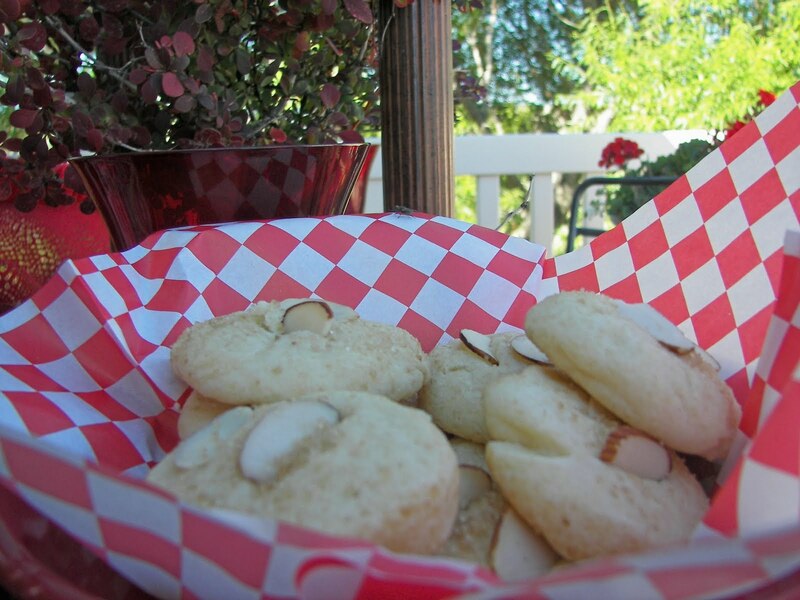 I have always loved Almond Cookies. This recipe is adapted from a Sunset Magazine recipe. It is yummy! As you can see, even though my kids didn't like the Chinese bakery goods, they do like these! They are yummy and sweet. I added some demerara sugar for crunch and color. 1. In a large bowl, with an electric mixer on medium speed, beat butter and sugar until smooth. Add whole egg and almond extract and beat until well blended. Stir or beat in flour and baking powder until well blended. Cover bowl and chill until dough is firm, about 1 hour. 2. Shape dough into 1-inch balls and roll in demerara sugar, flatten each slightly, and place each about 1 inch apart on buttered or cooking parchment-lined 12- by 15-inch baking sheets. 3. 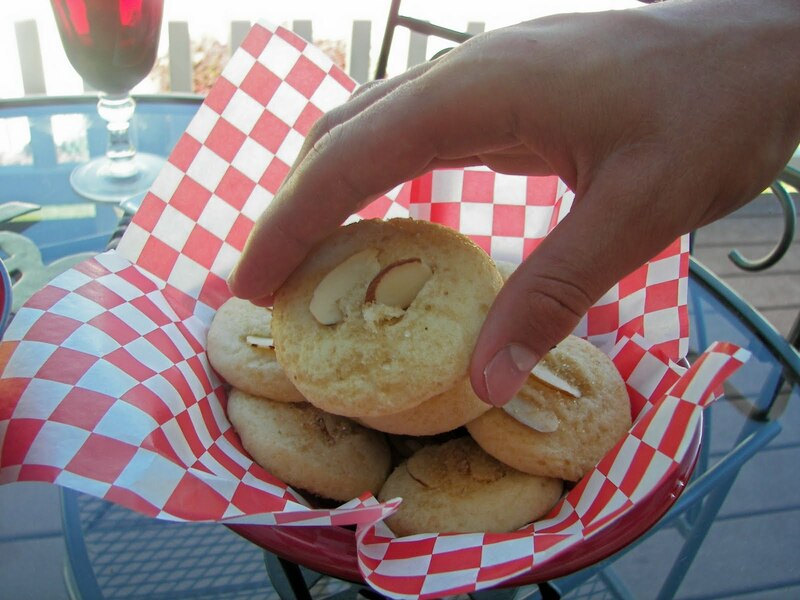 Press an almonds into the center of each cookie. 4. Bake cookies in a 325° oven until lightly browned, 15 to 20 minutes; if baking more than one pan at a time, switch pan positions halfway through baking. About halfway though cooking you can sprinkle more sugar on top. Let cookies cool on sheets for 5 minutes, then use a wide spatula to transfer to racks to cool completely. 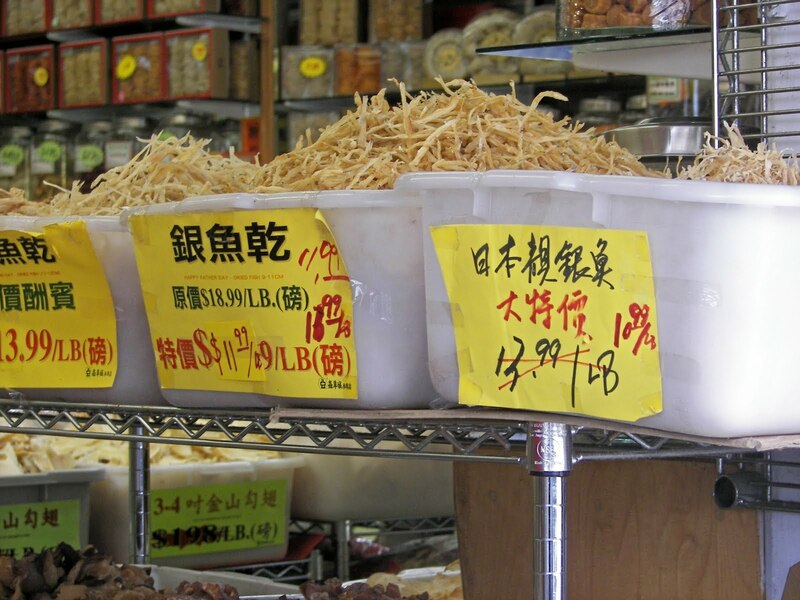 I hope you have enjoyed your visit to Chinatown in San Francisco. You really should think of going there. It was so much fun to take our children there! I can't wait to go back and see all the things we missed! Thanks for stopping by my Red Couch! That was really a fun tour. I love the lanterns...I'd really like to cover my backyard with them. 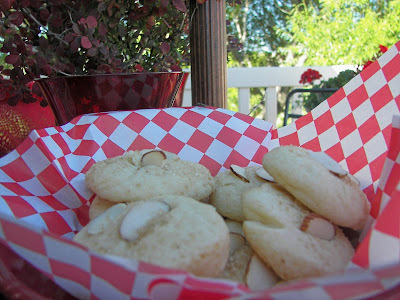 We have always LOVED Chinese almond cookies and my mom used to buy them by the box:) I am so excited that you have a recipe! Can't wait to try them...THANKS! Love the recipe for the cookies. Chinese bakeries are not French bakeries, are they:)? I love all of the exotic ingredients on the sidewalk stores, especially the whole chickens hanging by their feet in the shop windows. Thank you for the tour! 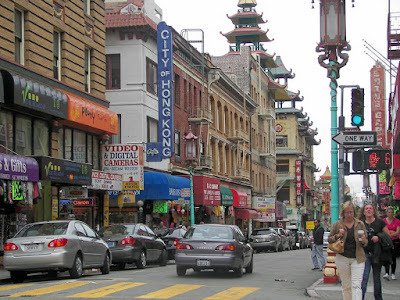 We've been to SF's Chinatown, plus the Chinatowns in Seattle, Vancouver, and New York. Obviously, I enjoy Asian food, and discovering new things. Maybe we should take a trip to Asia! Fun tablescape and great China town shots. It's cute that you've had the dragon from your sister...must bring back fun memories! The cookies sound so yummy! My Mom used to make them but I don't think I have her recipe so I'll try these.